Make this adorable bag for your next trip to the beach! 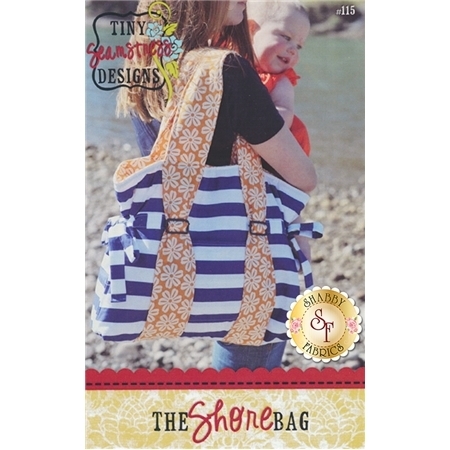 The Shore Bag is a slightly larger bag measuring 13" tall by 20" wide by 4" deep when finished. Useful for so many occasions and features a large pocket inside and one on the outside as well. 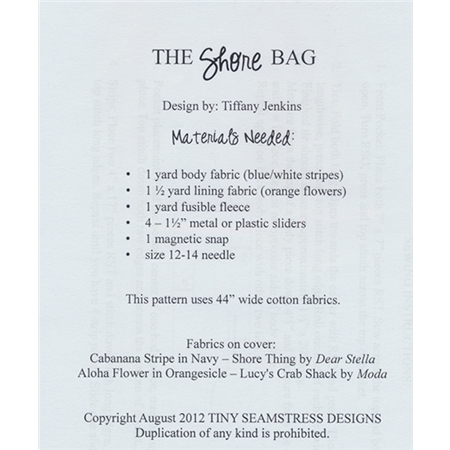 The pattern includes clear instructions, illustrations and a template for the handles.